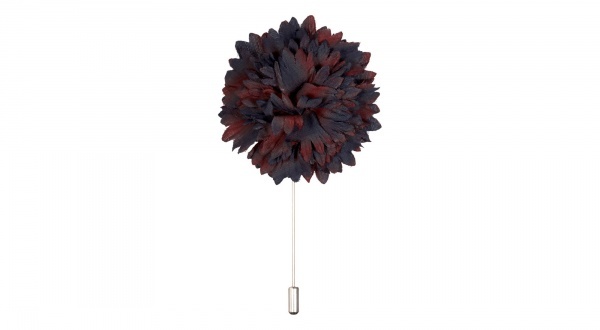 Add a touch of romance to your ensemble with this carnation lapel pin from Lanvin. A black and dark red bit of design, this lapel pin adds a sense of occasion and special-ness to any suit or sportcoat. A charming bit of design from the house of Elbaz, available online now.